The G.J. 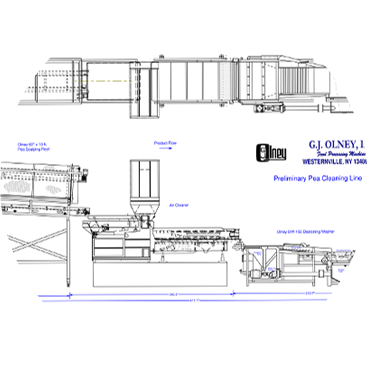 Olney, Inc. team can provide a background in product development, equipment specification, process line/plant layout, training, plant start up, production problem solving, and improving process efficiency for all our equipment. Machines are designed by CAD to assist with the factory layout. We can supply single items of equipment as well as complete preparation lines for the modern food processing industry. If you have an idea for a machine or process that doesn’t exist yet, by working together with our skilled design team we can make your ideas a reality at a price you can afford.